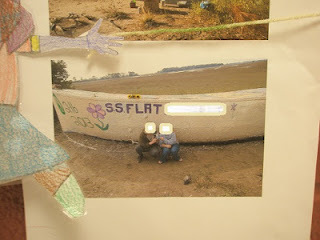 Here are a couple more of my Flat Stanley pictures that I wanted to share with you! This little boy's aunt did an amazing job! She sent back a large scrapbook FULL of goodies for him from New York City! We had so much going through all of this. Here he is with Flat Teddy Roosevelt at the Grand Canyon! 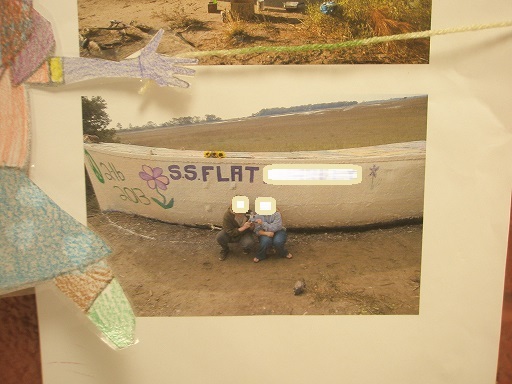 A lot of my Flat First Graders bring back fabulous pictures of their adventures, but one of the coolest pictures this year was of a boat that was painted with the little girl's name- S.S. Flat C******. If you want to do Flat Stanley activities with your kiddos you can check out my Flat Stanley Pack at my TpT store! I hope your end of the year is going well! Mine is crazy busy! !